Modern equipment. Experienced specialists. Professional concepts. Machines and plants operate for as long and as good as they are maintained. Therefore, let the trained FS Plus team do this for you. 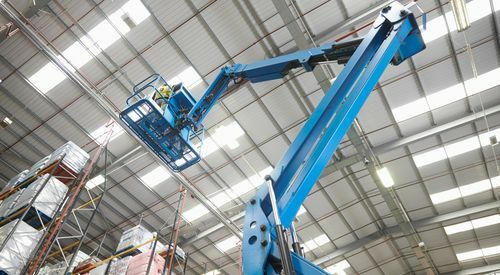 With the highest degree of care and precision, the durability and efficiency of your machines, plants, halls and the entire working environment are ensured. Together with you, we plan the cleaning work and integrate it into your production processes. Whether as basic or periodic cleaning - with the exact cleaning method tailored to your needs, every deposit and contamination of any kind is removed, gently and with the most advanced technology! You no longer have to worry about downtimes or production losses due to cleanliness issues. 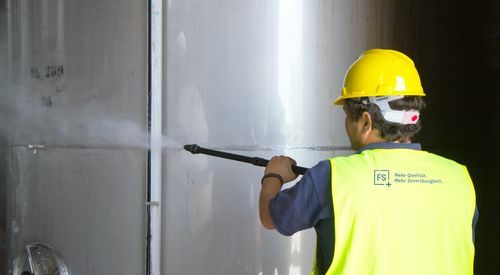 The industrial cleaning unit of FS Plus knows how to eliminate these problems perfectly, because plant availability and the resulting quality of your products is of great importance to us as a service provider. Of course, environmental protection is also taken into account and cost savings are made possible. Only a regular and professional machine cleaning, performed with highest competence, offers you an optimal production process. Where it is clean, there is less friction. Then a smooth production can take place. In order to ensure the longest possible and flawless commissioning of your machines and plants, three things are essentially required: an experienced team, state-of-the-art technology and proper plans. Cleanliness in your production is therefore a top priority and your machines and systems have a long life expectancy due to low wear. 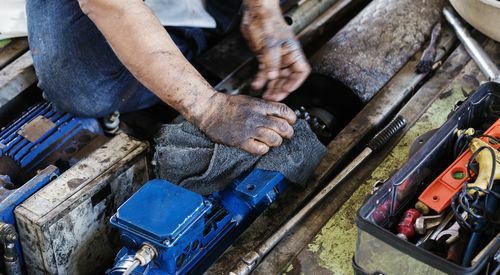 Where cleanliness prevails, machines work more fluidly and people prefer to work. 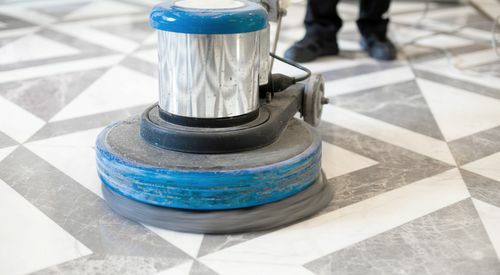 Since we know that regular cleaning is difficult to manage for many companies, we have set up a team that shines with competence and experience. The right solution for all needs. 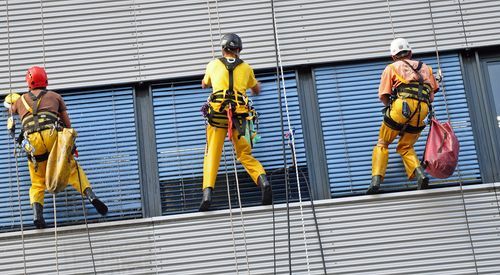 Just as your company is unique, so are the demands on special cleaning. With gentle cleaning technology, productivity can be quickly increased again. A team of experts from FS Plus knows how. Professional competence at any altitude. The cleanliness of industrial plants also plays an important role in higher levels. That's where our industrial climbers come in! 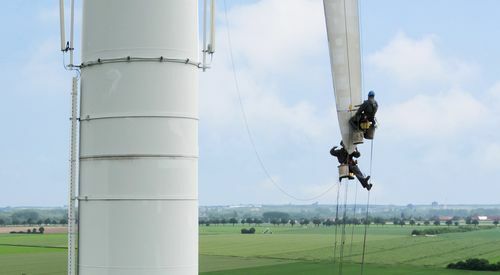 They reach hard-to-reach plant and building parts with reliable safety equipment and strong cleaning materials. A good impression is crucial. Let your company shine! A neat company headquarter and clean offices convey a serious image and increase the hygiene and satisfaction of all present people. So your motivation can radiate to your employees. Inside and outside: Simply shiny! How the facade shines is usually reflected in the perception of the whole company. Take advantage of this and get rid of deposits from your facade to fully restore the aesthetics! With the right know-how and experience, you can defy direct and indirect environmental influences. Stay up to date and receive the latest FS Plus news.